Institute for Plasma Research (IPR) is located in a peaceful and green campus on the bank of river Sabarmati, near Indira Bridge, Gandhinagar, Gujarat. It was established in 1986 as an autonomous institute under the Department of Science and Technology (DST) with a mandate to pursue research in Plasma Science and technology. The institute grew rapidly and came under the administrative umbrella of the Department of Atomic Energy (DAE) in 1995. Over the years, IPR has developed competence in advanced fields like Theoretical Plasma Physics, Computer Modeling and Simulation, Superconducting magnets and Cryogenics, Ultra High Vacuum technologies, sophisticated Plasma Diagnostic systems, RF and Neutral Beam Heating systems, High Voltage Engineering systems, Pulsed Power systems, Computer based Data Acquisition and Control systems besides, Industrial, Environmental and strategic plasma applications. A multi-disciplinary team of around 400 scientists and technologists carries out these tasks. Facilitation Centre for Industrial Plasma Technologies (FCIPT) links industries with Institute for Plasma Research (IPR), Gandhinagar, India. The knowledge - base in plasma sciences and associated technologies is exploited to generate advanced and non conventional plasma based technologies for material processing and environmental remediation. IPR is an autonomous institute under the Department of Atomic Energy (DAE), Govt. of India. It is exclusively devoted to basic research in plasma sciences and development of technological applications. The major thrust is in magnetic confinement fusion and plasma assisted material processing. FCIPT takes up development of plasma processing technologies from concept to commercialization and promotes awareness of technology through Technology transfer, Newsletters and Direct marketing. Gandhinagar – 382 016, Gujarat, India. ITER will be built mostly through in-kind contributions from the participant countries (Parties) in the form of components manufactured by the Parties and delivered/installed at ITER. ITER-India is the Indian Domestic Agency (DA), formed with the responsibility to provide to ITER the Indian contribution. ITER will be built mostly through in-kind contributions by the seven partners, meaning they will build their share of ITER components through an appropriately formed Domestic Agency (DA) and industries and deliver them to ITER for final assembly of the device. India will be contributing, like other partners except the host EU, about 9.1% of the ITER construction cost (EU pays about 45%). Most of this will be in the form of components made by the Indian industry and delivered to ITER.Only a small part (~1%) will be paid in cash to a common fund for in-cash procurements by the ITER International Team. ITER-India is the Indian DA formed to deliver India’s share of Procurement Packages to ITER. Centre of Plasma Physics – Institute for Plasma Research (CPP-IPR) is a research centre of Institute for Plasma Research (IPR), Gandhinagar, Gujarat, an autonomous institute under the Department of Atomic Energy (DAE), Govt. of India. The centre was initially formed with a small group of scientists in 1991 as a project of Govt. 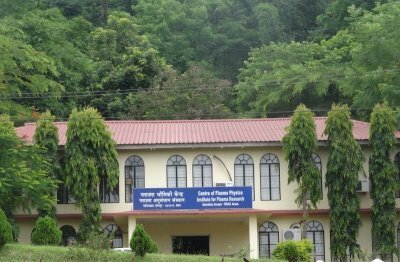 of Assam, and functioned as an autonomous institute under the Department of Science & Technology, Govt. of Assam, till May 29, 2009. Hereon upon, the institute was taken as a centre of Institute for Plasma Research under DAE, Govt. of India.